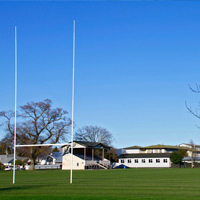 Palmerston North Boys’ High School is able to boast an impressive array of facilities. Many of these have come about through the generous support of Old Boys, The Parent / Teacher Association, and the wider school and business community. The Ian Colquhoun Memorial Hall can accommodate close to 1800 people, is fully networked, and is used for daily assemblies, fairs, expos, indoor activities and competitions. 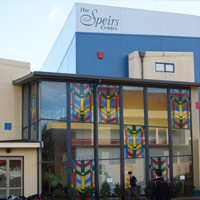 The Speirs Centre is home to a 370 seat Auditorium and Performing Arts Centre, rehearsal and music practice rooms, as well as two classrooms, bathrooms and a kitchen. Palmerston North Boys’ High School has a 25 metre indoor heated swimming pool with wheelchair access & accompanying facilities. Palmerston North Boys’ High School has fourteen specialised science laboratories dedicated to the Biology, Chemistry, Physics, Electronics and Horticulture Departments. Palmerston North Boys’ High School has four fully equipped technology workshops and two planning rooms for wood work, metal work, engineering and construction. A wide variety of sports fields & facilities: Rugby, Football, Hockey, Tennis, Basketball, Badminton, Volleyball, Cricket, Water & Canoe Polo and Tae Kwon Do. Two gymnasiums, each equipped with a sprung wooden floor, indoor basketball court & changing room facilities. A dedicated weight training facility with an extensive array of cardio, machine and free weights equipment. The School is home to a New Zealand-first Indoor Grass Cricket practice facility. We have six computer rooms available for classroom use and a computer network extending throughout the School. Palmerston North Boys’ High School has a well-resourced library, fitted with a computer suite available for student use. College House has excellent boarding facilities for 180 young men, equipped with junior and senior dorms, two gymnasiums, a dining hall, recreation areas, BBQ area and a conference room.